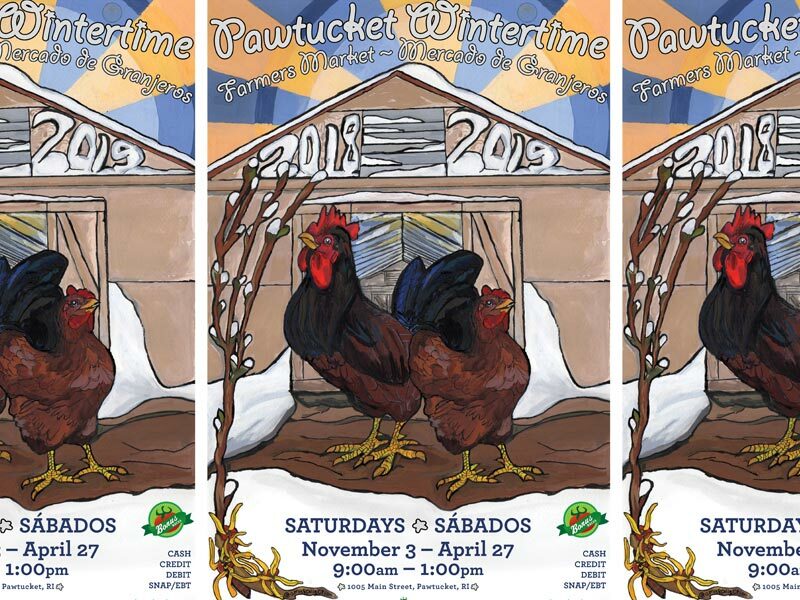 The Pawtucket Wintertime Farmers Market is the largest of its kind in New England — featuring an extensive variety of local farmers, fishers, and food producers all under one roof. Shop two spacious hallways in a renovated mill building — the Hope Artiste Village, which also houses retail stores, art galleries, yoga and music studios, and more. Local artists play live music throughout the market space, with some seating available. Many sellers offer free samples of their products, and you can pick up delicious breakfast or lunch from prepared food vendors and food trucks. Be sure to keep an eye out for frequent special events held throughout the season. There’s something for everyone at this market, whether you’re just looking to stock up for the week, or make a morning of it with the whole family. This market is family-friendly, wheelchair accessible, and conveniently located right on the R-Line. A giant parking lot sits just behind the building on Esten Ave, and smaller lots and street parking are also available nearby. Sorry, pets aren’t allowed in the market due to health department regulations.